Looking for an eco-minded baby crib can be hard work. Many eco-wood cribs are very expensive, yet you don’t want cheap wood and you for sure don’t want plastic, so what else is there? How about metal? Unlike plastic, metal contains no icky virgin oil and few chemicals. Unlike wood, metal can be a bit less expensive. Plus, a metal baby crib, while it sounds odd, is streamlined and classic in its aesthetic — perfect if you’re trying to create a vintage nursery. 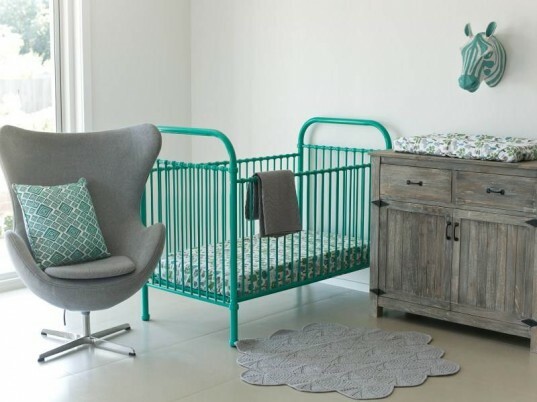 If a metal crib sounds like a viable option for you, then incy interiors is a good place to start. incy interiors offers three new timeless baby cots in metal: the clancy in gorgeous yellow, the declan in eye-popping spearmint, and the romy in oh so pretty pale pink. All three cots are expertly crafted of sturdy and strong metal with simple curves, and they feature safe, stationery side rails and two mattress heights. The crib collections at incy interiors are finished in non-toxic paints and stains. Additionally, these metal cribs are designed to mix and match with other nursery furniture seamlessly. Metal looks wonderful with wood, bamboo and other eco-minded materials. All of the cribs meet strict quality standards, adhering to the Australian and New Zealand standards, as/nzs 2172.2003 and these cribs have fixed sides with no drop side mechanisms, therefore reducing the risk of any potential hazards. Products are fairly and safely made in Vietnam and China and though based in Australia, they will ship internationally. If you’re looking for a metal bed for a toddler or older child, incy interiors has the eden or thomas bed available, both of which are metal, and made for older kids. Have a bed similar and have lost the screw to hold together, where can I get them?? Looking for an eco-minded baby crib can be hard work. �Many eco-wood cribs are very expensive, yet you don't want cheap wood and you for sure don't want plastic, so what else is there? How about metal? Unlike plastic, metal contains no icky virgin oil and few chemicals. Unlike wood, metal can be a bit less expensive. Plus, a metal baby crib, while it sounds odd, is streamlined and classic in its aesthetic -- perfect if you're trying to create a vintage nursery. If a metal crib sounds like a viable option for you, then�incy interiors is a good place to start. 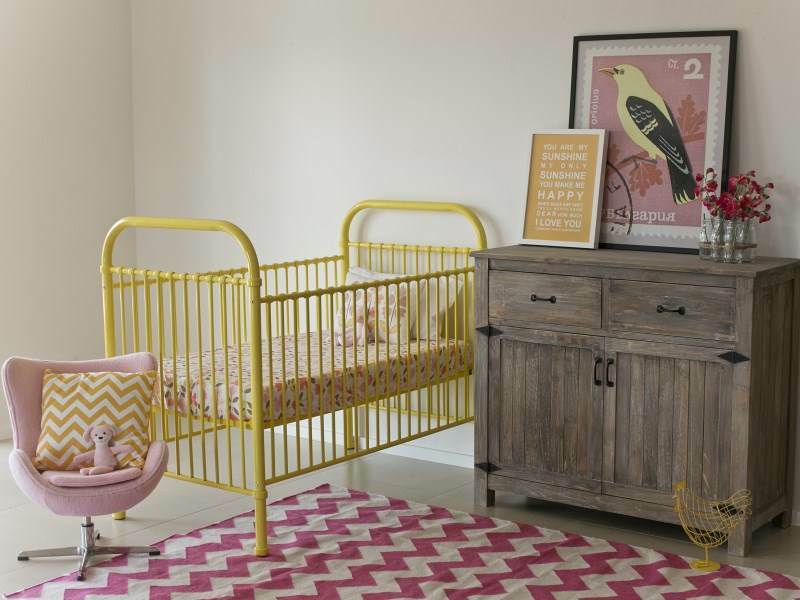 incy interiors offers three new timeless baby cots in metal: the clancy in gorgeous yellow, the declan in eye-popping spearmint, and the romy in oh so pretty pale pink. All three cots are expertly crafted of sturdy and strong metal with simple curves, and they feature safe, stationery side rails and two mattress heights.